You can read the beginning of the podcast below. It’s gratitude. It’s the key to unlock your hidden potential. Gratitudes been a main theme in my life since about 1998 when I got started in personal development. And, the older I get, the farther I go, the more success I have, the more I see that it’s an absolute key to success in life beyond what we can possibly think of. I’ve had big ups, and I’ve had some challenges along the way and every single time gratitude ends up playing a massive role in getting on track. So that’s we’re gonna be talking about today, we’re gonna be talking about gratitude. I’m excited about this, and I’m excited about personal development because I’ve used it to absolutely transform my life. Personal development absolutely changed my life. In 1998, I was a mechanic; I was installing car stereos for a living. […] But I was broke, I was struggling, and my life just wasn’t really going where I wanted to go. I was working 80 hours a week, I was stressed out, I was overweight, I wasn’t seeing my family, and I was falling behind on my bills. My finances were a mess, and I was always having to do like side jobs and extra jobs and all that so 80 hours a week ended up being more like 100 hours a week. And to top it all off, I had a boss who just made my life a living heck. […] I was 26 and I realized that if I continued on this path until I’m 46, I’m gonna be a grumpy, angry, middle-aged guy. I’m passionate about personal development because when I found personal development, I met a couple of people and they suggested I start reading some books. I got started in a business, and they said the business could change your life but what’s really gonna change your life is changing the way you think about everything. Here’s some books that you need to read: Think and Grow Rich by Napoleon Hill, Seven Habits of Highly Effective People by Stephen Covey, and pretty much anything from Jim Rohn or Bob Proctor. I’ll tell you what, the first time in my life I had somebody telling me that I could be as successful as I wanted to be and really you know what it’s all about, it’s not about where you start and it’s not about what your education was and it’s not about you know your experience in life so far, it’s about the thoughts that you hold in your mind most of the time and the goals that you really decide to serve and really go for in your life. There’s really nothing that can hold you back. I never would have looked outside of that job; I never would had the courage to really do what I did had I not started to change my mindset. It really was changing my thinking that allowed me to create that higher level success and I took that level of success way beyond that. I’ve done a lot of cool things in my life with these principles and I think it’s something that everybody deserves to know about and I’m excited to share it you know since then I’ve just been excited to share this stuff with anybody I can. 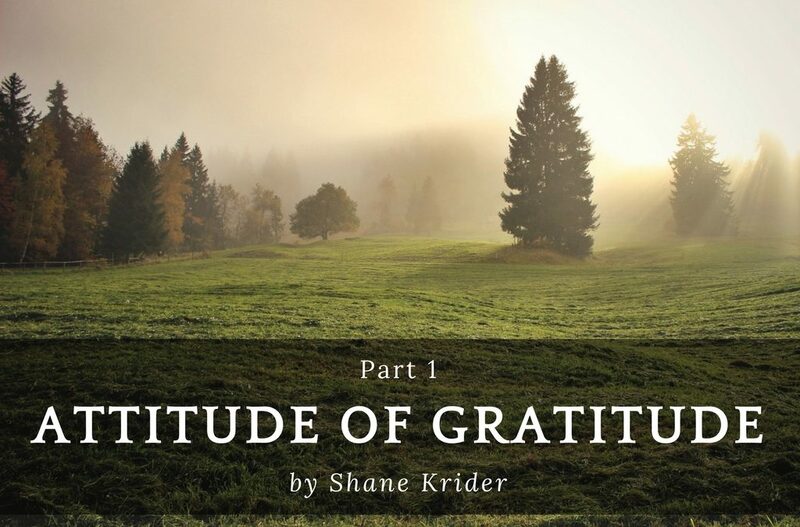 Shane Krider is a successful personal development life coach, producer, speaker, author and entrepreneur. Along with his wife, Shane is the co-host of Born to Prosper’s Mind Power, which which is a self-help podcast which challenges its listeners to delve deep into their minds to find success. In addition, Shane travels the world in luxury to speak to aspiring entrepreneurs at conferences and workshops to inspire them to find their own pathways to success. Shane Krider is part of The Prosperity of Life Network, a United States-based personal development business with a presence in 52+ countries.